Lacerte Family Children’s Zoo | Dallas ZooHoo! Don’t miss Dallas Zoo Lights presented by Reliant! 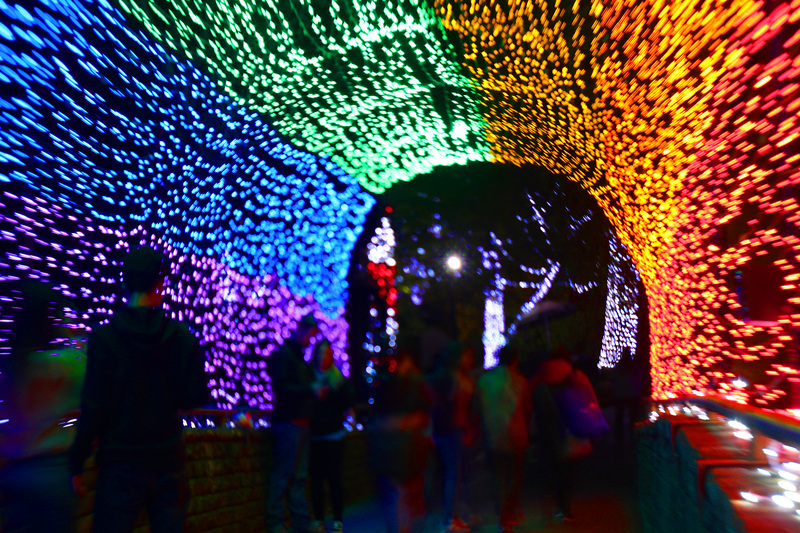 There’s so much to do and see at Dallas Zoo Lights presented by Reliant. Here are a few of the best-kept secrets and spots you absolutely MUST see, straight from the Zoo Lights pros. 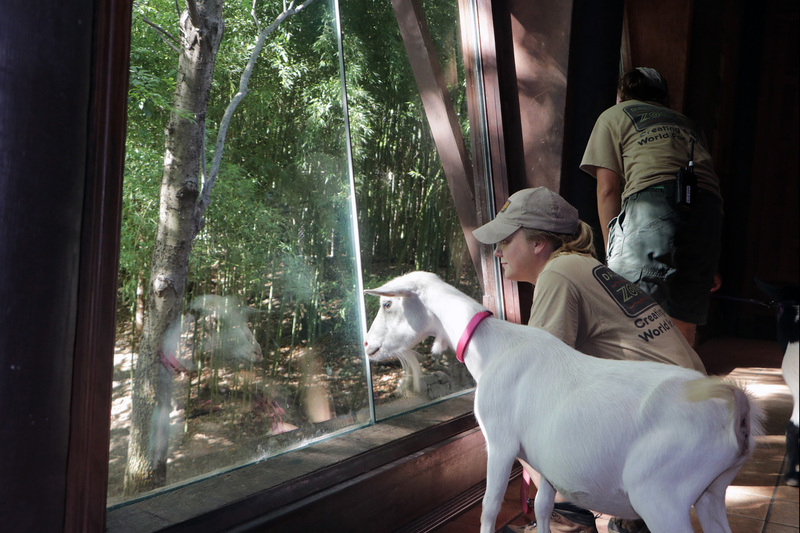 Pro tip #1: Cozy up to the fire, and make your own s’mores at the Lacerte Family Children’s Zoo. Pro tip #3: Say hi to Santa! He’s kind of a big deal. Pro tip #4: Get your craft on at our nature-themed ornament making station. Pro tip #5: If you get chilly, head inside the Herpetarium or Bug U! to warm up. Pro tip #6: Get in the holiday spirit with sounds of the season – catch nightly musical performances at Cat Green. Pro tip #7: Take advantage of the most Instagram-worthy photo op – Rainbow Arch! Pro tip #8: Stroll through Picnic Ridge and check out our newest light feature – larger-than-life animal-shaped lanterns. 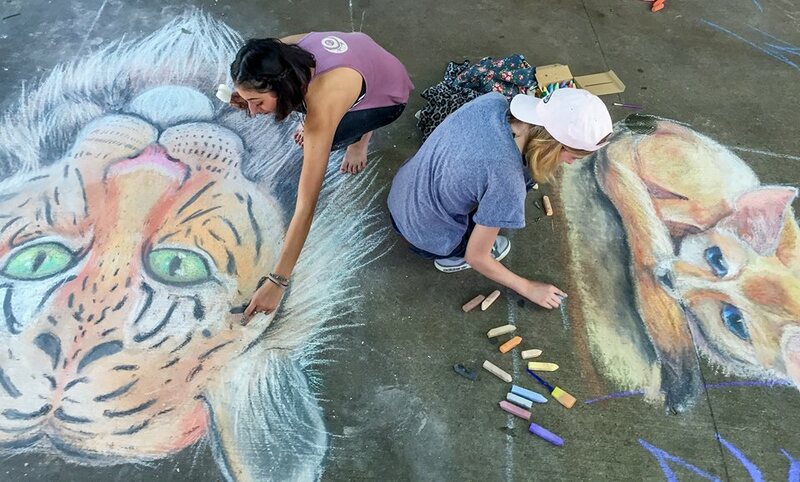 Pro tip #10: Dallas Zoo Members get in FREE! Plus, tons of other perks all year long. Sign up to become a member today, and get 10% any level of membership. Take advantage of that deal HERE. Did we miss anything? If you’ve been to Dallas Zoo Lights and have some more pro tips to share, let us know in the comments! Click HERE for the full Dallas Zoo Lights schedule and to get your tickets now. 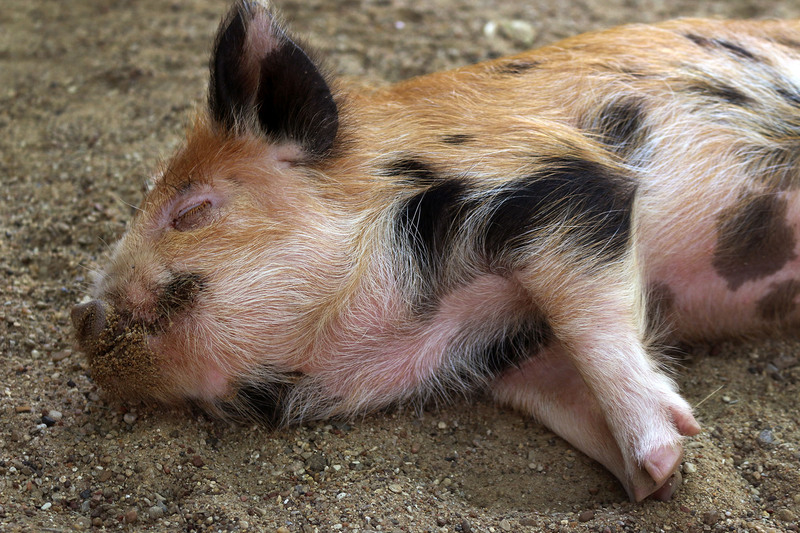 The only true “grazing pig,” kunekune (pronounced “koon-koon” or “kooney-kooney,” either is correct) are a breed of domesticated pigs that are native to New Zealand. The name does indeed mean “fat and round” in Maori. It wasn’t so long ago that they almost went extinct, with only 50 known purebred kunekunes in the 1970s. The breed came back from the brink thanks to the efforts of devoted wildlife preservationists, and today they are no longer considered endangered. 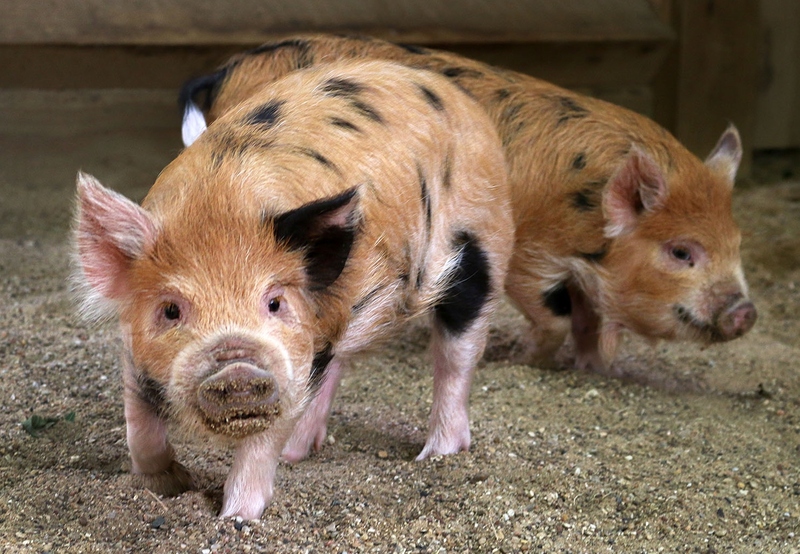 Penny and Oliver have the trademark kunekune short legs and short “smooshed” snouts, and are reddish brown with black markings. However, it’s easy to tell them apart – Oliver has one black ear, and Penny has wattles (also called “pire pire”) that hang down from her jaw. Right now, at four months old, Penny and Oliver weigh about 30 pounds each. 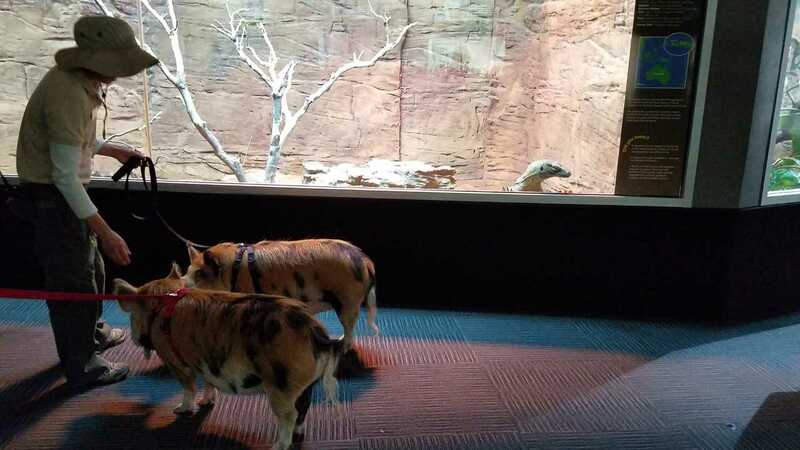 By the time they’re mature, however, they may weigh as much as 100 pounds. 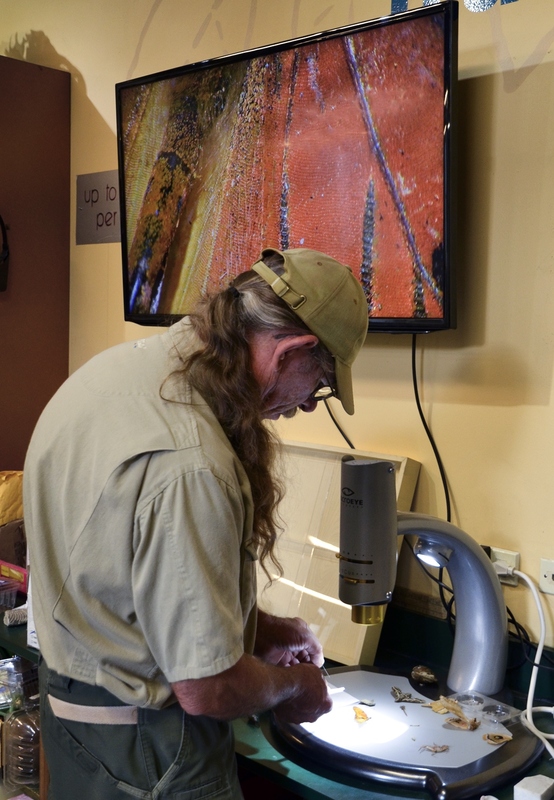 Children’s Zoo interpreter, Gerald Bogan, magnifies a Gulf fritillary butterfly. Did you know that a butterfly’s wings are full of tiny hairs? Or that the veins of a leaf look a lot like the ones in your body? Or that the richly colored eye spot on a polythemus moth’s rear wing is used to confuse predators? Henry David Thoreau had an eye for nature, but he couldn’t have dreamed of this type of detail. A new state-of-the-art microscope is taking nature discovery to another level at the Nature Exchange in the Lacerte Family Children’s Zoo. Purchased with grant money from the M.R. and Evelyn Hudson Foundation, the $4,600 microscope has been on our “wish list” for many years. 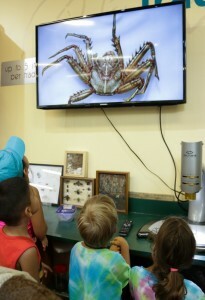 Now, children can see the natural world clearer and closer than ever before. The Nature Exchange is a natural item swap shop, where children bring in things they’ve found in their yard and trade up for cooler natural items. When the kids bring their items in, now they can see them magnified with the microscope and beamed up onto a 48-inch LED Smart HDTV. If your children don’t have natural items to swap, we highly suggest checking out all the neat things we already have. 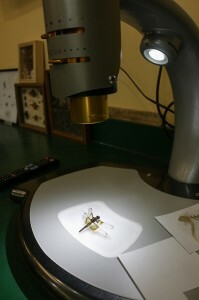 We’ll put anything you want under the microscope, if it fits!